The Warriors swept the Pelicans in the first round en route to their first NBA championship in 40 years. It was almost as if they were playing level-1 Duck Hunt. 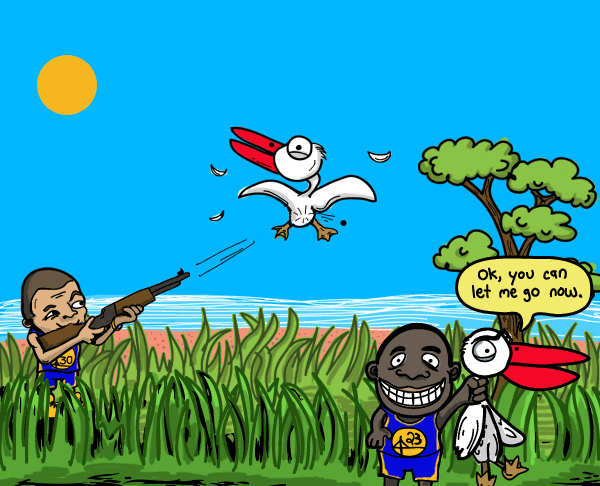 Draymond, of course, would play the grinning dog in the tall grass, happily clutching the prey by the neck. The prey of course played by Anthony Davis.